Here we are at the start of another brand new month and can anyone believe its August already? Its at this point we go “Where has the year gone? !” On a happy note, it takes me just that bit closer to my birthday hehe… So let’s check out what’s new in August 2010. Probably the only eye cream I ever liked enough to repurchase – twice! Now comes in a reformulated version. Still RM190 a bottle that will last you a long long time. I haven’t used ANR eye cream for a while. Might this be my return? Go down to MidValley Megamall from August 8-16 2010 and get a free skin consultation and learn how to get beautiful eyes in 3 simple steps. Psst! 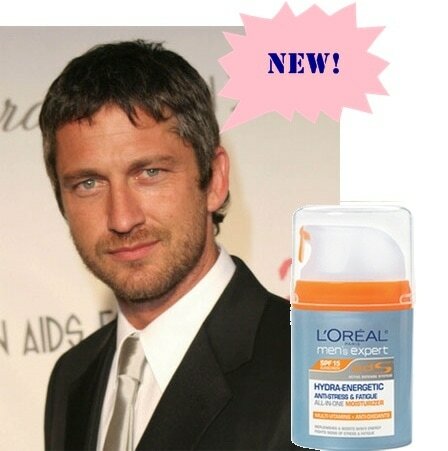 See if they have samples of the Advanced Night Repair Serum too. I love that too! You might have seen this around the internet already, but its here! The new Revlon PhotoReady liquid foundation that promises poreless airbrushed skin in any lighting. Comes with photochromatic pigments that diffuse light to hide your flaws and is full coverage yet lightweight with SPF20 and an oil free formula. Interesting wot? Comes in 5 Asian friendly shades. Check it out at the Revlon promo booth at KLCC Park Mall (outside Guardian at concourse level). Then come back and let me know what you think 🙂 Haven’t seen this yet myself. 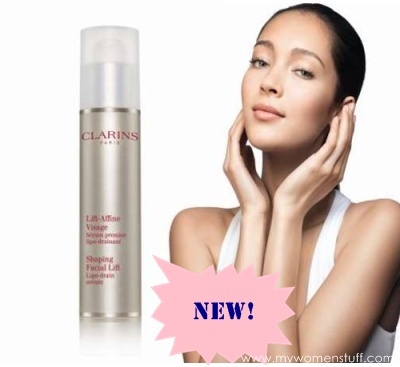 A new formula of Clarins’ popular face shaping serum. Used with the special Clarins method of lymphatic drainage, it promises to “lift” your skin, reduce puffy skin and streamline your facial contours so you look good from any angle. I had a facial at the Clarins salon once where the therapist told me about this (before it was reformulated) and I must say I did see almost instant results after the facial (she only did half my face) but then when you’re lying down, the effects are easier to see. I believe there’s an online contest ongoing (saw it from a mag) so go to www.clarins.com.my and see what its all about. 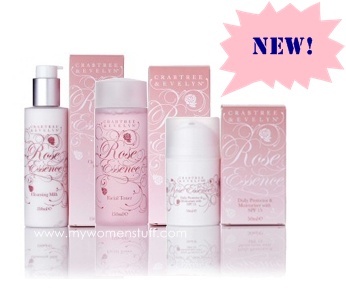 I got a mailer about the new Rose Essence Skincare Collection from Crabtree & Evelyn. Its out in stores now and I popped by to take a look and a sniff. It smells of fresh roses (not so much of the powdery rose scent thank goodness) but its a bit strong. Didn’t have time to check it out properly but if you have, do share! I tested Photoready in Australia but thought it was so-so. Had some shimmer in it and it felt a little heavy too. The Clarins serum looks interesting. I’ve always had a fat face and was told that it could be caused by water retention… good grief, why on my face, I don’t know. Eeks! Shimmer isn’t great but haven’t tried it yet. In fact I don’t think I’ve tried any Revlon liquid foundation! Hmm well, I wear 003 Shell and I am #117 in MUFE HD, #774 for Shu uemura nobara cream cover stick and Chanel Teint innocence #10 Albatre. Don’t know if that helps? =P But good luck in finding a match and i can’t wait to hear what you think of it! Oh glad to hear its good for you – been reading quite a few contrary reports. it’s my birthday today! hehe! and guess what, lancome actually sent me a birthday wishes message, and told me to go collect my present from metro mid valley. now THATS a customer loyalty programme man! i’ve been having really good skin days lately..the only thing i wish to get rid of is my pimple scars. sigh. they’ve turned into pigmentation. i dont have raised or pitted scars, just discoloured ones, and they really make my skin look bad since i have such pale skin it is darn obvious. so said, the revlon photo ready foundie looks good! i shall go to klcc to check it out! thanks for the tip Paris! I’ve tried the Revlon’s Photo Ready foundie and it’s really not suitable for thosw with oily skin. It has this shimmery look to it, making anyone look like a flashing disco ball 🙁 Not the one for me. It might just well! (I LOL-ed at Edward Cullen’s references..haha) Maybe we can make our local vampy movie eh? I can just see the credits..’shimmery skin made possible by Revlon Photo Ready’….muahaha! Ooo spotted the Revlon photoready in Tropicana City Mall’s Guardian a few weeks ago. The shimmer is hardly noticeable. I think perhaps if we set the foundation with loose powder, the oil and shimmer might not be a problem. But the price! I am so tempted to try it, but I have so many foundations, I dont know what to do with them! i have the sample from crabtree bbut haven try yet this is not the 1st time they had a skincare line, the last time they had it i dont even have a chance to try it they already discontinued it. revlon photo ready. Hope it can suit me……problem with hyperallergy skin. Not sure if it’ll be suitable for hyperallergy skin – best to do a patch test first. 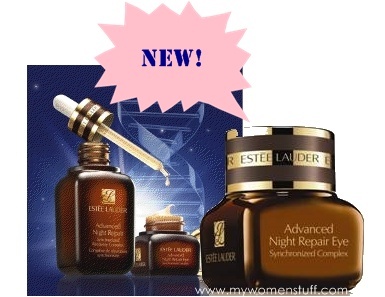 Hi, Paris, can you do a review on Estee Lauder Advanced Night Repair Eye Cream. Knowing that Lancom also release new eye cream: Genifique Yeux Youth Activating Eye concentrate. Thinking to buy a eye cream but not sure which brand to buy.